Ask fellow campers about "Texan RV Park" and nearby attractions. Nightly rate is low because we lived in a park model home on a monthly basis. 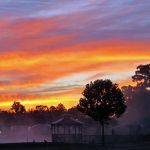 It was a beautiful park before new owners took over in July of last year contrary to a previous reviewer who stated the new owners were cleaning it up. You can't always believe what you are told. It has steadily gone from a beautiful park to a neglected one, with sporadic mowing, septic smell, open holes where water leaks were repaired, rude people. 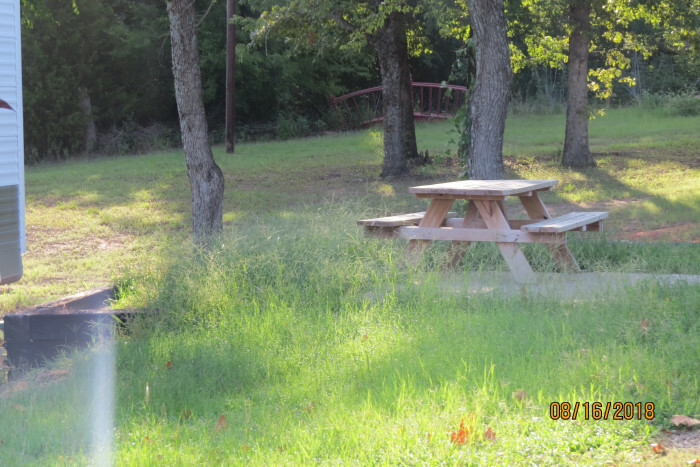 We camped at Texan RV Park in a Cabin. Athens has a good Chinese Buffet, Applebees, Jalapeno Tree, and several good Mexican restaurants as well as Danny's Barbeque. The Athens Fish Hatchery is a great place to visit and the Tyler Rose Garden is a great day excursion. Great park. Plenty of room and super friendly staff. We had an issue with our breaker tripping and they promptly replaced it and had us fixed in no time. We camped at Texan RV Park in a Motorhome. Home of the National RV Training Academy. Very nice campground. New owners really cleaning it up well. Two very nice clean ponds with well manicured banks. Our spot was a back in right near the largest pond. 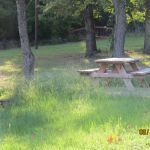 Freshly graveled and leveled spot, large concrete patio for picnic table, etc.. Nice property, extremely friendly and helpful staff. 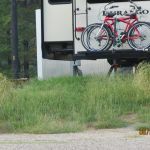 We camped at Texan RV Park in a Motorhome. If coming from DFW on 175, GPS may lead you past the park to a proper turning road, however they have cut turnouts into the highway in a few places, saved me a few miles. We were in a long pull-through in the front section. It was very long and allowed us park the truck either in front of or behind the trailer. In spite of recent pad work the site was fairly uneven, requiring both side-to-side and especially front-t0-back leveling. Even as were were there they were adding material to a rolling sites, so perhaps that is a work in progress. Didn't use their internet, but it was nice to see various free and pay options based on what you need. We camped at Texan RV Park in a Fifth Wheel. Changes going on at this park for the better. Internet is VASTLY improved. Roads in good shape and they have propane. Wish it was mobile, though. They're working on making the various spots more level. We had freezing temps when I was here but they covered up all the water faucets and no breaks. I had problems with my leveling jacks coming up when I was ready leave but they got me going. THANK YOU SO MUCH! Lots of full timers along with overnighters. I will be back. We camped at Texan RV Park in a Motorhome. Athens a short drive away. Brookshires and Walmart are best grocery stores. Hernandez restaurant in Eustace is GREAT food at good prices. It's a good park. You're far enough away from the highway so it's not a problem. The park is roomy so folks aren't right up against one another with very long pull thru's. Grounds are VERY well kept and maintained. People in the office are friendly and helpful and willing to work with you. Price was based on monthly rate. We camped at Texan RV Park in a Motorhome. Athens is about five miles to the south. Walmart is there. The park has got new owners (just in the last couple of weeks). They are going to be putting in a large RV school for techs and owners, not sure how that will affect the park (new 12,000 square foot building). The office was very friendly. Nice pull thru's - even the "shorter" ones were plenty long enough for us to stay hooked up. 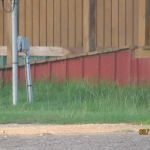 The grass could have been mowed a bit more recently. They were in the process of taking out trees that died over the winter. The wifi was not accessible at all while we were there. The lakes are very pretty, but the smell was a bit offputting (it was HOT when we were there). No shade, no pool. When we made the reservation, the Good Sam rate was $32, but when we got there, we were told that the rate had just gone up and it was now $36. 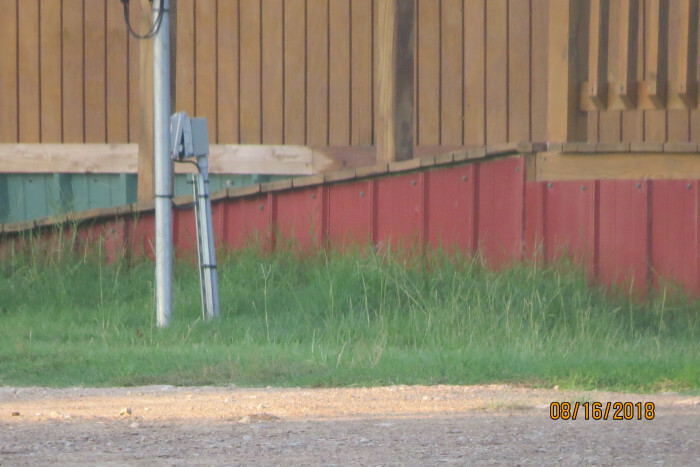 We camped at Texan RV Park in a Travel Trailer. We were at the park for three years. The owners changed in June and we are not going back. All those beautiful photos with tons of space are changing. The new owners are putting in more spaces and building a big shop for training people to repair rv's. The rates have been increased so double check your reservation as they are not honoring what people were told when they made the reservation. 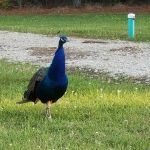 We camped at Texan RV Park in a Travel Trailer. This is an awesome park! Lots of space between sites - more space if you are willing to back in and not pull thru. The facilities are very well maintained and workers are in plain site working hard all the time. The managers are very nice and helpful and the rally room is not HUGE but very nice and has adjoining bathrooms and a dock and gazebo near the little lake - fun to feed the turtles and ducks at the lake. It's on the road but the site are so far off the road that you really never hear traffic - truly! We would stay here again in a heartbeat. And there are places to eat in Athens and Mabank - the Bean and Burger is a fun little place with good home cooking at a fair price. I truly recommend this park! 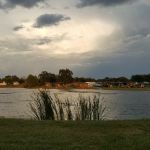 We camped at Texan RV Park in a Travel Trailer. The Walmart is easy to find on Why 31 in Athens - the Brookshires is there also =- several restaurants there to choose from. We really enjoyed the Bean and Burger in Mabank (they have one in Athens also) - really good food at a fair price and wonderful service. Well kept grounds with lots of open space to enjoy! This is our third time here and improvements continue with each stay. At some point all the roads will be paved and I can give the Texan a 10. All facilities are spotless and ample. Staff is very helpful and access to Athens, Canton and Tyler is good. Great campground. We camped at Texan RV Park in a Motorhome. Unique place. Beautiful open rolling pasture with multiple ponds and trees. Lots have wide spacing and the place is excellently maintained. Spotless restroom/showers, mowed, and friendly owner/staff. Safe, clean, and affordable place -perfect for short or, longer stays. Some longer-term residents are in the very back -barely can be seen but, these are all well-maintained /clean rigs. Easy access from US 175 and we will return! 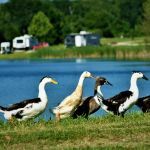 We camped at Texan RV Park in a Travel Trailer. Canadian Geese and various ducks land in nearby ponds. This park is almost 40 acres of mowed grass with some trees and two big ponds for fishing. Very pretty cg. Owner and staff very friendly. We ended up spending a week so got a very good rate. The other cgs we had planned on trying to stay at were full, so we ended up here - so glad!!! Super long, easy access pull-through site (#3). We camped at Texan RV Park in a Motorhome. Beautiful park with wide, gravel sites and cement patios. There are three stocked fishing lakes. It is close to town, but with a peaceful country atmosphere. It's a great place to sit and watch the water, the birds and the deer. Will definitely make this my go to place. We camped at Texan RV Park in a Fifth Wheel. A very nice quiet park in a rural setting. There are two ponds with fishing piers. We were in site #22 that backed up to one of the ponds. The owner and staff personnel are super friendly. The laundry facility and restrooms were very clean. The sites are mainly packed gravel/dirt/grass but we had little problem with leveling. The site had a concrete patio with picnic table. All hook ups were well placed and fully functional. Local TV station reception was excellent from the roof antenna. 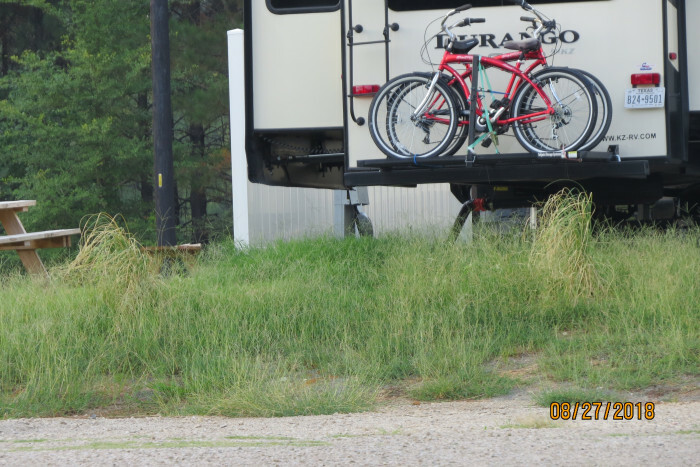 We camped at Texan RV Park in a Motorhome. We enjoyed visiting the Texas Freshwater Fish Hatchery in Athens. This is our second visit to the Texan and found it even better than the first time. Lots of room, good utilities, sparkling clean showers and restrooms. Very friendly management and very big rig friendly. Some of the sites are difficult to set up on but nothing a few "2 X's) wouldn't correct. Overall a great value for a very nice resort. We camped at Texan RV Park in a Motorhome. Canten market, Athen's fish hatchery are both worth a visit. The TPWD fisheries center is very interesting and entertaining. We were in a trip and stopped. Not sure what to do but Canton was 30 minutes away! Are you affiliated with Texan RV Park ?